Daily Illuminator: Big News From GAMA Trade Show! March 16, 2018: Big News From GAMA Trade Show! 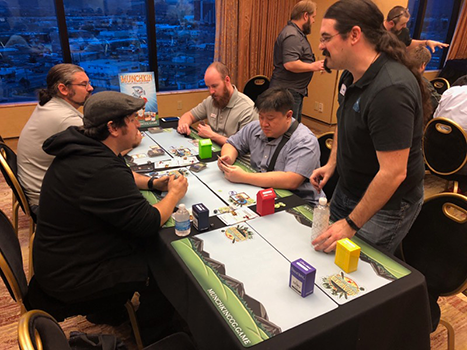 The SJ Games team has spent the week at the GAMA Trade Show in Reno, showing off our new and upcoming releases to retailers and distributors from around the country (and world)! 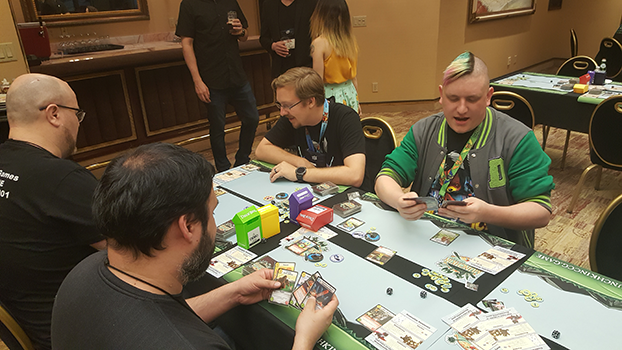 Our annual penthouse party was busier than ever, with around 200 attendees getting to play the Munchkin Collectible Card Game, many for the first time. Thanks to all the retailers and distributors who came up and gave it a try! We hope that having a chance to play in person will also help equip people to sell the game . . . plus many got a sweet swag bag with unique gear, like oversized Hero cards. Big news for the Munchkin CCG, including our Day of Wreckoning event-kit contents, news for Desolation of Blarg and Fashion Furious OP kits, and the first announcement of the next set, Grave Danger. We also previewed some new products, like the Introductory Set coming this summer and the Phat Pack coming later this year! 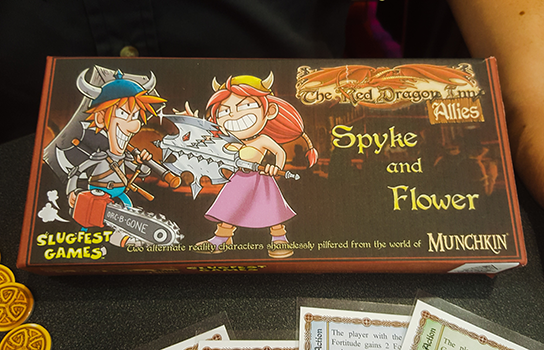 Munchkin: The Red Dragon Inn, a crossover with SlugFest Games that will produce a mini-expansion for Munchkin featuring characters and treasures from The Red Dragon Inn, and a two-player game for The Red Dragon Inn featuring Spyke and Flower! The relaunch of The Fantasy Trip will start with miniboxed editions of the two combat games, Melee and Wizard, each retailing for $14.95! The Ogre Battle Box will contain over 80 miniatures, rules, and a map! We'll share more details about these things (plus even more stuff) in the near future, so stay tuned. 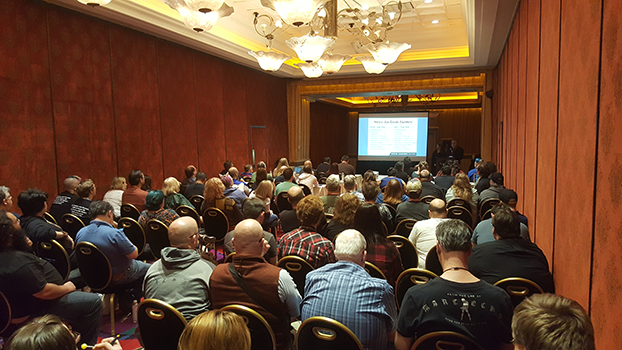 GAMA Trade Show has been an amazing event, and we want to thank all of the organizers, the retailers, the distributors, the publishers, and all the staff at The Peppermill who made this the best GAMA yet. We can't wait for next year. In the meantime, let's make some amazing games!